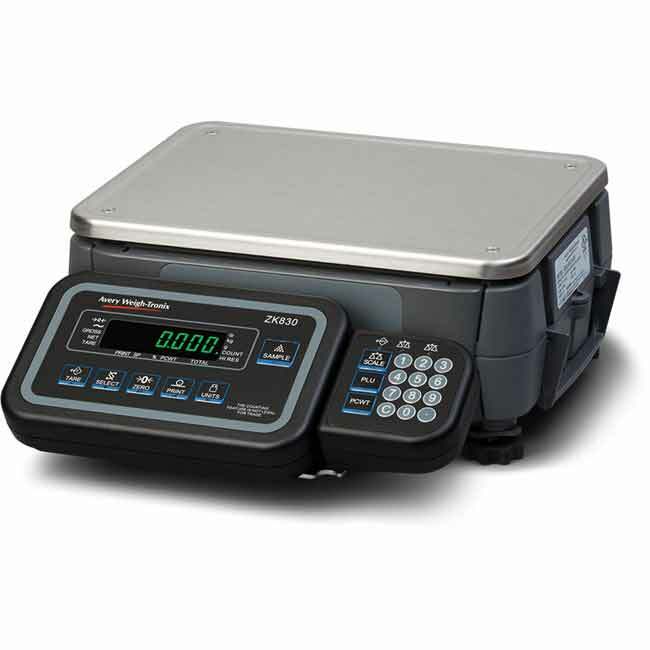 The ZK830 is a high resolution Quartzell™ digital bench scale that can be set up as a dedicated counting scale, checkweigher or a standalone bench balance. 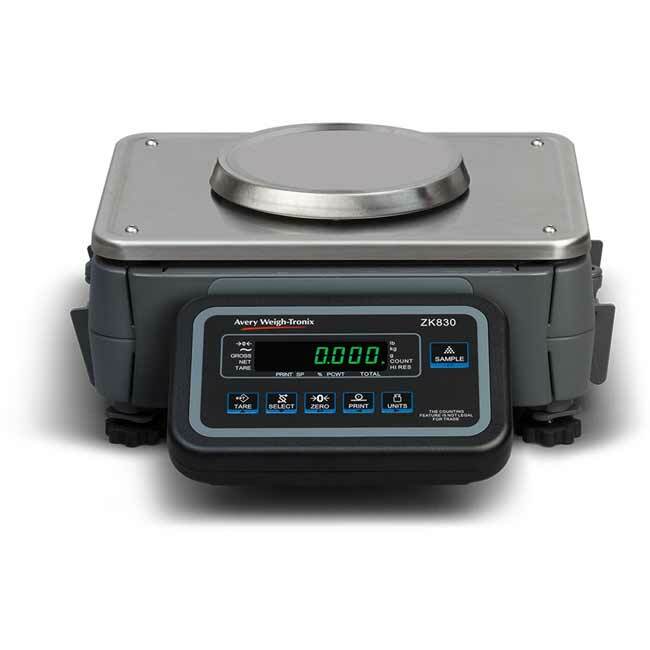 The unique modular base and indicator combination uses our robust BSQ Quartzell bench base with up to 1 billion internal count resolution and 1100% overload protection. 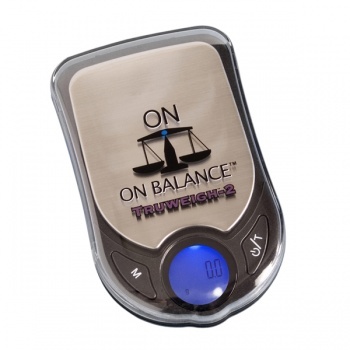 Teamed with the user-friendly, multi-function ZK830 indicator, this scale performs in a wide range of industrial applications and environments. 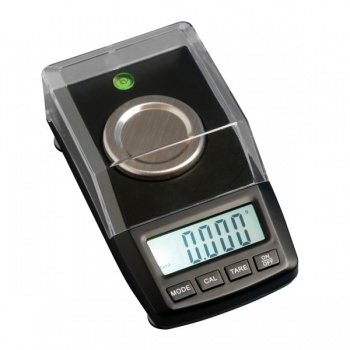 With the ability to count a wide range of components, from micro parts weighing less than 10 mg to much heavier items, the ZK830 comes with easy-to-use accurate sampling routines, allowing up to 99.75% sampling accuracy. 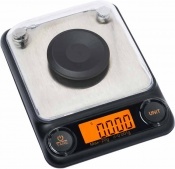 The scale has 40 PLU piece weight data storage. 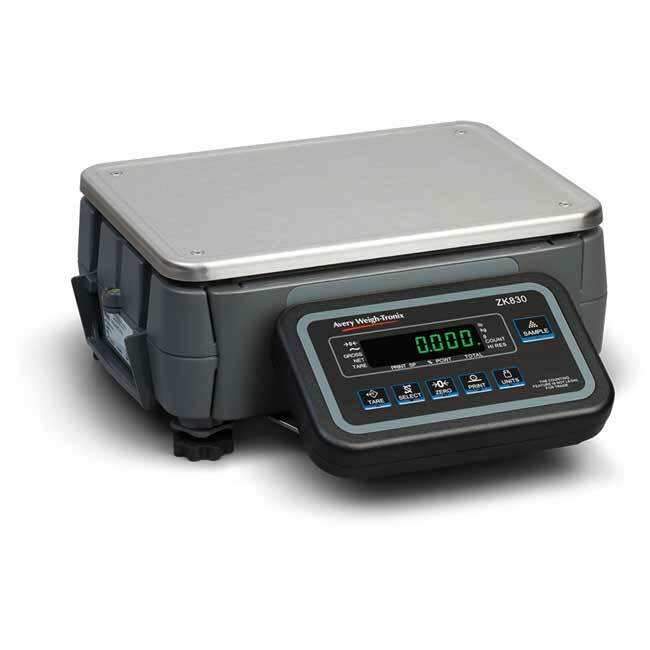 Fast, reliable and extremely accurate, the ZK830 is simple to operate with high resolution under, over and accept bands and a PLU target weight data base capable of holding up to 40 target weights with high and low weight limits. Checkweighing: High resolution target weight Checkweighing application, ideal for target weight data retrieval or for improving product line efficiency. Designed for easy setup of target weight with easy-to-read under, over and accept segments to improve throughput to help reduce operator fatigue.